The Berbers refer themselves as Imaghzen. Amazigh means (roughly) free men. The term « berber » is said to be based on the Roman term for non Romans « barbarians ». They have been in North Africa for thousands of years predating the Phonecians . Prehistorique rock paintings in the Tassili region in the Hoggar mountains in Algeria show them hunting but also herding livestock The berbers have always been farmers whilst some of them remain nomadic and can be found south of Merzouga and around Guelemim. The largest Berber populations are in Kabyle in Algeria with 6 million and the Shilha or Chleuh tribe (French term) in the High and Anti Atlas regions of Morocco numbering 8 million. The Riff region in northern Morocco also has a substantial Berber population.Berber tribes live in Libya in the NFousa mountains, in the Siwa Oasis in Egypt and a small population of Berbers in Tunisia. Tuaregs are related to Berber tribes and are nomadic living in Subsaharan Africa, in Mali, Niger and Burkina Faso. Whilst Berbers are widely dispersed over North Africa they have never shown any inclination to unite politically politically. Abdelkrim El Khattabi led the Riffian war against the French and Spanish establishing a short lived Riffian Republic.There are contacts between Berber communities in North Africa but these are usually cultural and fraternal rather than political. After Moroccan Independence in 1956 Arabisation inspired by Gamal Abdul Nasser came in. Berbers suffered discrimination including the banning of Amazigh first names and the use of Berber dialects including Tamazigh in the Middle and High Atlas , Tarafit in the northern Rif and Tachelit. The Berber alphabet Tifinagh was band. The situation was worsened by the uprising in the Rif in 1958. which was put down severely by the then prince heriter Hassan . When MohammedVI became King one of his first actions was to redress this situation.He visits the North regularly and it has benefitted from major investment in the region. Following the 2011 amendments to the constitution, Amazigh became recognized as an official language alongside Arabic and the Tifinagh alphabet and language is now taught in schools . Road signs and public information signs are also written inTifinagh. The use of berber first names for children is now allowed. 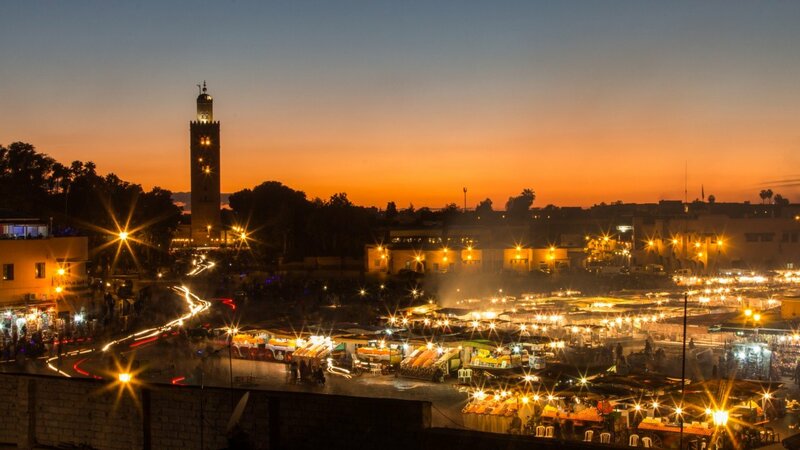 The Berber national sign and flag is often seen and the superb Amazigh cultural heritage with woven tribal carpets,jewellryand richly designed artifacts, music ,song and cuisine are a major part of Morocco’s tourism industry. The Royal Institute for Amazigh Culture, IRCAM founded in 2001 helps to preserve and promote Amazigh culture. Many of Morocco’s cultural and political leaders are Amazigh, such Driss Jettou and Aziz Akhinouch and many of Morocco’s leading artists and singers are Amazigh. The Amazigh have always had remarkable ability to resist and then live alongside different cultures preserving their identity. Estimates put the Amazigh as 40 percent of the population although others put it far higher.The absorption of the Amazigh identity into Morocco’s cities away from their rural roots is part of this process . Many leading businessmen are Amazigh and they have always been accomplished merchants.